The Basalt promises the ultimate in camping comfort, featuring an oversized design with soft materials protected with an anti-odour treatment which is effective against 99% of odour-forming bacteria. The combination of a double layer of Coletherm® insulation on the top and comfortable hood, these sleeping bags will keep you warm and comfortable on the campsite. A special Anti-Odour treatment reduces odour-forming bacteria! 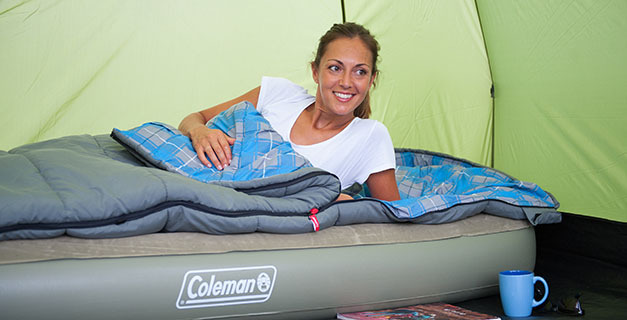 Keep the growth of bacteria at bay with our Anti-Odour treatment specifically engineered for Coleman® sleeping bags.